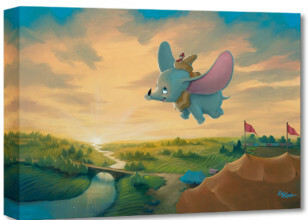 This image, Joy of Flight Dumbo Embellished Giclee on Canvas by Rob Kaz, captures the joy of friendship and the freedom it brings. 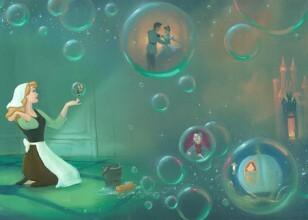 Dumbo is one of Disney's best! 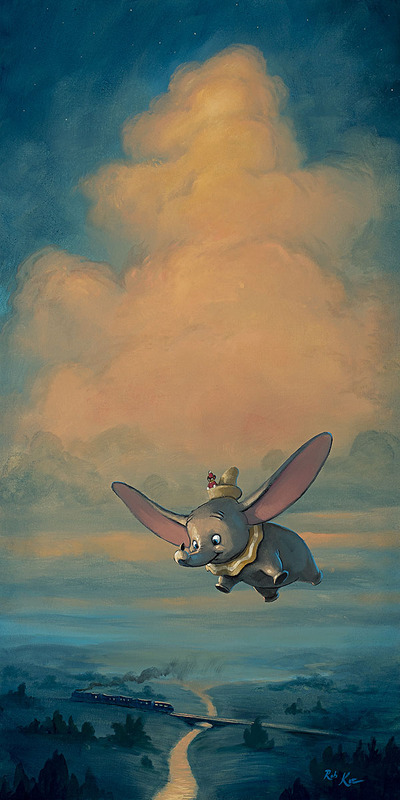 Dumbo is a 1941 American animated film produced by Walt Disney Productions and released by RKO Radio Pictures. 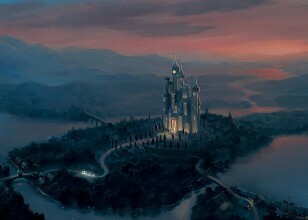 The fourth Disney animated feature film, it is based upon the storyline written by Helen Aberson and illustrated by Harold Pearl for the prototype of a novelty toy ("Roll-a-Book"). The main character is Jumbo Jr., a semi-anthropomorphic elephant who is cruelly nicknamed "Dumbo", as in "dumb". 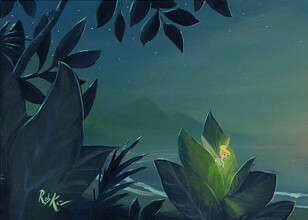 He is ridiculed for his big ears, but in fact he is capable of flying by using his ears as wings. Throughout most of the film, his only true friend, aside from his mother, is the mouse, Timothy – a relationship parodying the stereotypical animosity between mice and elephants.